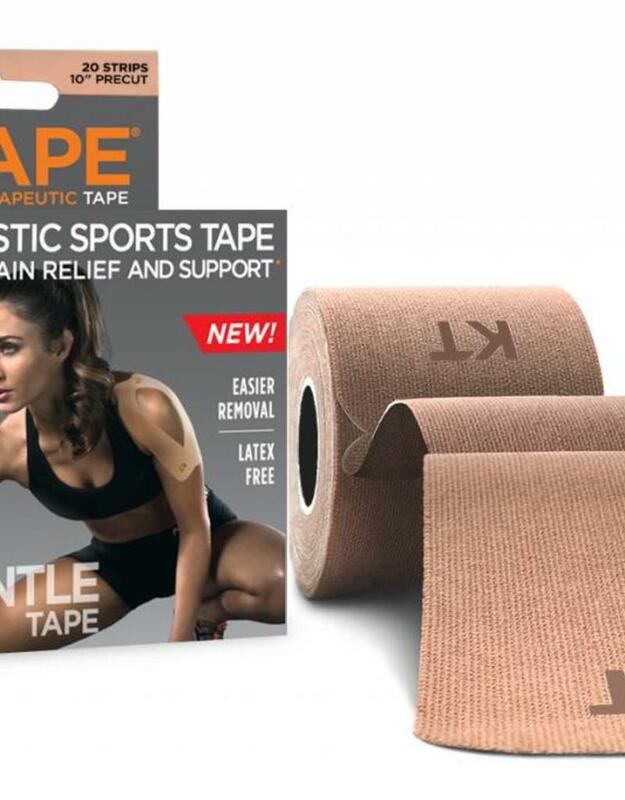 KT TAPE® GENTLE elastic sports tape for pain relief and support* with an easier-to-remove adhesive. KT TAPE® GENTLE tape is made of the same cotton microfibers as KT TAPE ORIGINAL but with an adhesive that gently releases from the skin. This new adhesive helps prevent most of the common skin reactions resulting from tape removal. 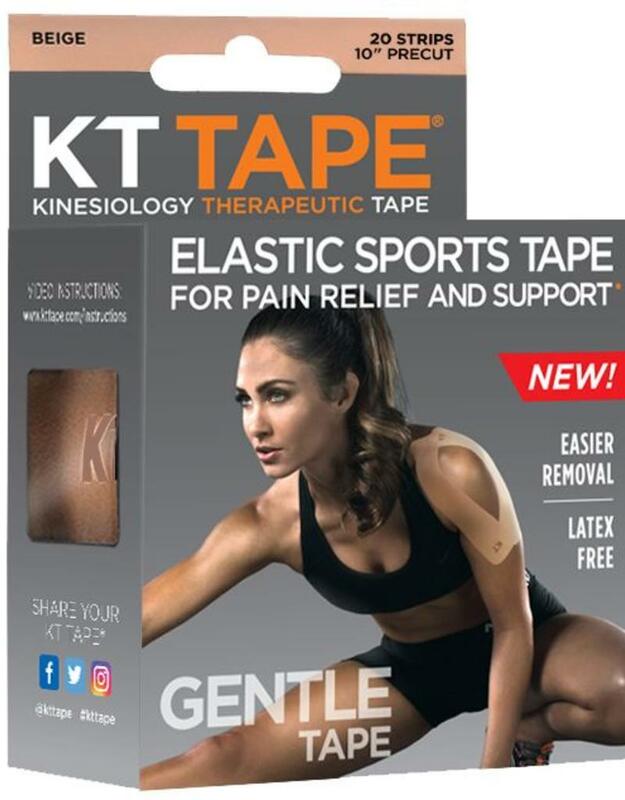 KT TAPE® GENTLE Tape can be worn comfortably for 1-3 days at a time and is an ideal solution for lighter workouts and activity. Each box contains 20 precut strips and application instructions.